Dove Gray Flower Baskets White Roses Quilt Set! 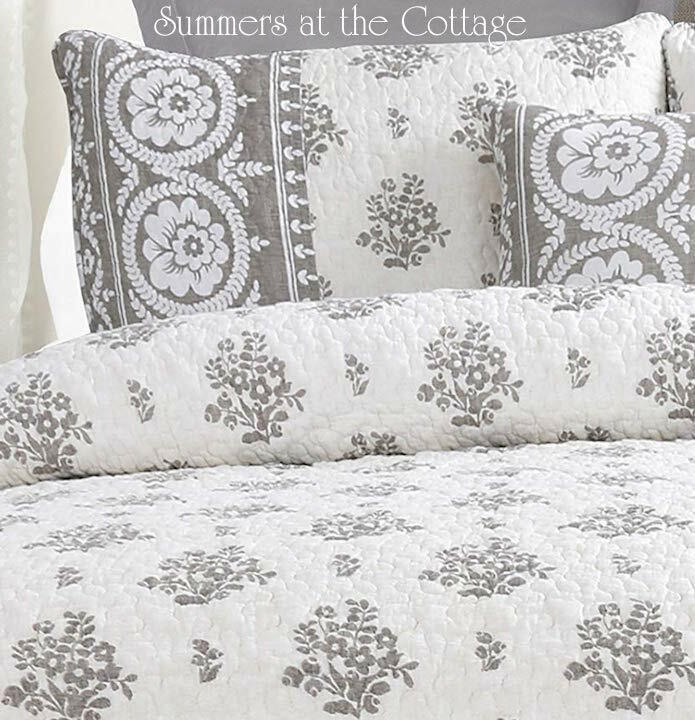 This beautiful cottage quilt set in a stunning dove gray flower basket design accented with white roses is so chic! Includes the quilt and two matching pillow shams! 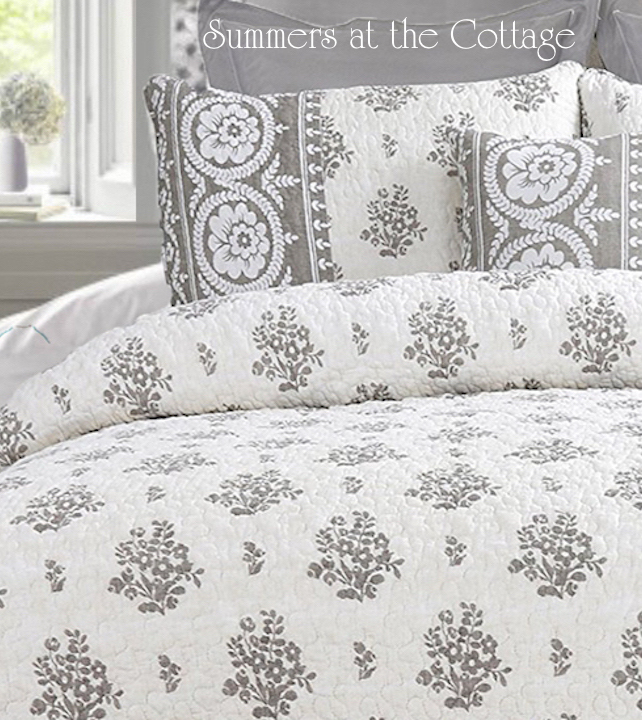 Brand new in package, this light weight quilt set is just gorgeous! 100% cotton fabric with a cotton blend fill. Machine wash and dry.